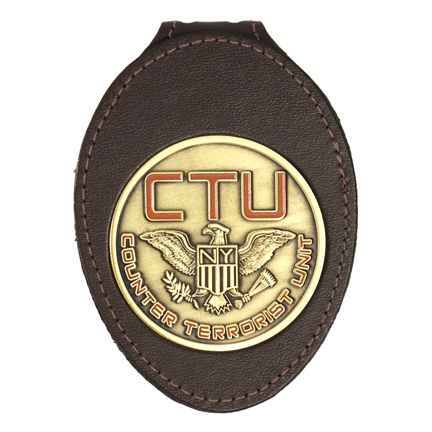 This "Counter Terrorist Unit: New York" (CTU NY) clip on belt badge was utilized by the character "Cole Ortiz," portrayed by actor Freddy Prinze Jr., in the eighth season of the award winning television series, "24." 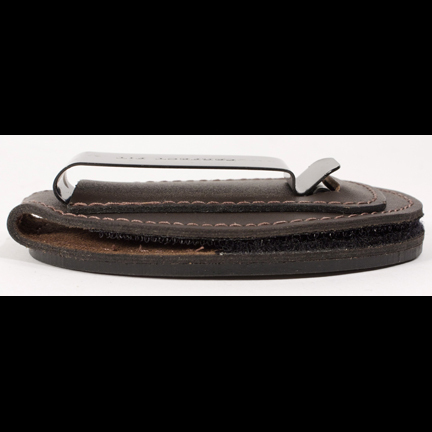 The circular metal badge reads "CTU N.Y. 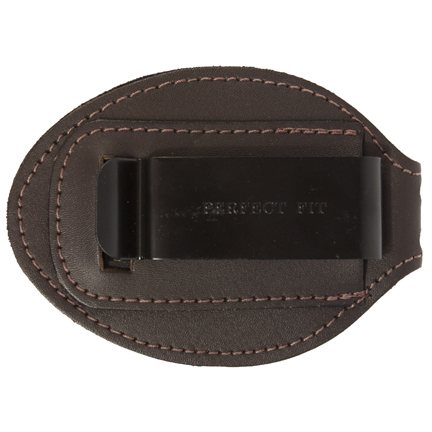 Counter Terrorist Unit" with American eagle and shield logo and is mounted on an oval brown leather holder with "Perfect Fit" metal belt clip. 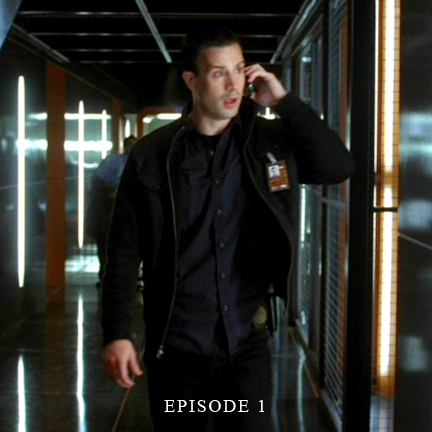 The prop badge was custom made for use on Season 8 following the previous disbandment of all CTU offices prior to Season 7. 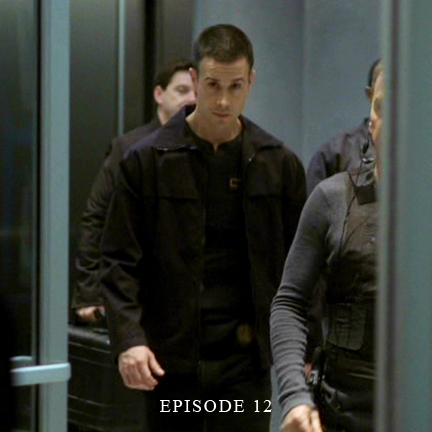 Mr. Prinze first appeared wearing this badge in the opening episode of the season (Day 8: 4:00pm – 5:00pm) when he enters the CTU headquarters, and continued to wear it in multiple other episodes throughout the season. 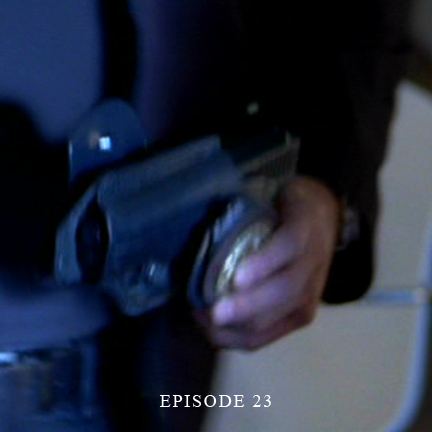 The badge can be seen in many of the show's action sequences when Cole is running or firing his weapon, and is seen notably in Episode 21 (Day 8: 12:00pm – 1:00pm) when Cole is taken into custody for questioning after the death of Dana Walsh (played by Katee Sackhoff). 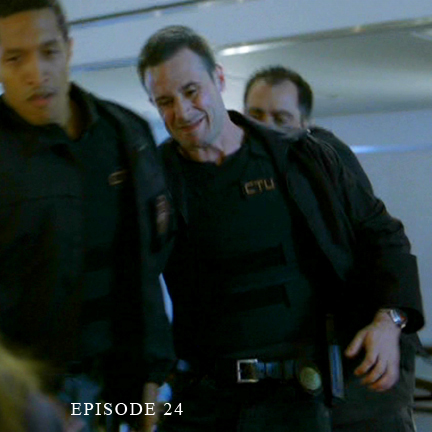 It is again seen in Episode 23 (Day 8: 2:00pm – 3:00pm) when Agent Burke (Jamie Martz) hands Cole his badge and gun at the UN mobile security unit. 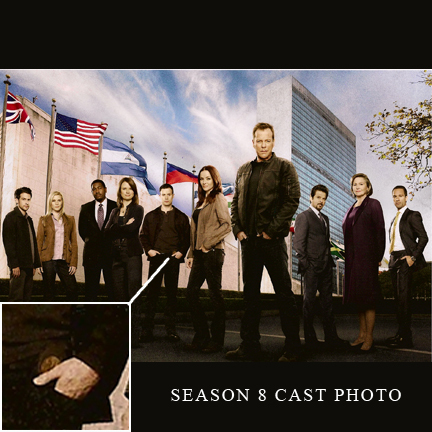 The actor also wore the badge prominently in one of the official 24 Cast Photos used to promote Season 8. 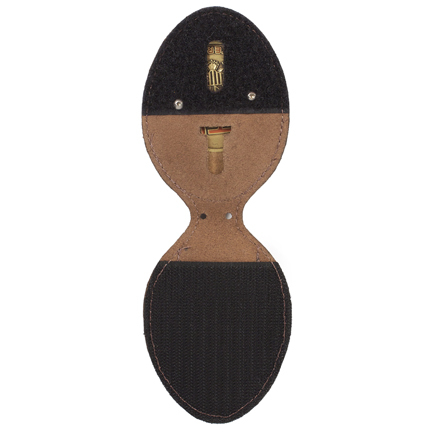 The badge is in very good screen used condition and is accompanied by a letter of authenticity. Presented by The Golden Closet, your premier source for iconic screen used wardrobe, props, and music entertainment memorabilia.